No joke: have China’s censors gone too far with ban on humour app? There is a not-so-secret club in China. Members find each other in traffic by honking their horn – one long honk, followed by two short ones. Others identify each other by completing nonsensical couplets: “The son of heaven covers the tiger” – to which the correct response is “chicken stew with mushrooms”. They call themselves duanyou after the app Neihan Duanzi, or “implied jokes”, where until recently some 30 million users could watch short videos, comedy sketches and follow dirty jokes and memes. Fans also organise offline meet-ups. At one gathering in Hunan province earlier this month, a group posed in a parking lot with little red flags and a sign describing themselves as the “duanyoucoalition”. China’s media regulator on 10 April ordered Neihan Duanzi’s parent company and one of the country’s fastest-growing internet companies, Bytedance, to shut down the app because of its “vulgar” content. It was one of several news apps to be removed from online stores or shuttered this month. The group’s unofficial song, On Earth, a ballad about life’s struggles, has been censored. Cities from Shanghai to Changde in Hunan province have placed restrictions on honking. Authorities have advised news outlets not to report on fan gatherings. The founder and CEO of Toutiao, the news platform where Neihan Duanzi was first hosted, issued a public apology for failing to “promote positive energy and grasp correct guidance of public opinion”. Last week, the authorities in Wuhan, China, ordered Deng Yufeng’s exhibition of personal data shut down after two days and began investigating him on suspicion of amassing the information illegally. 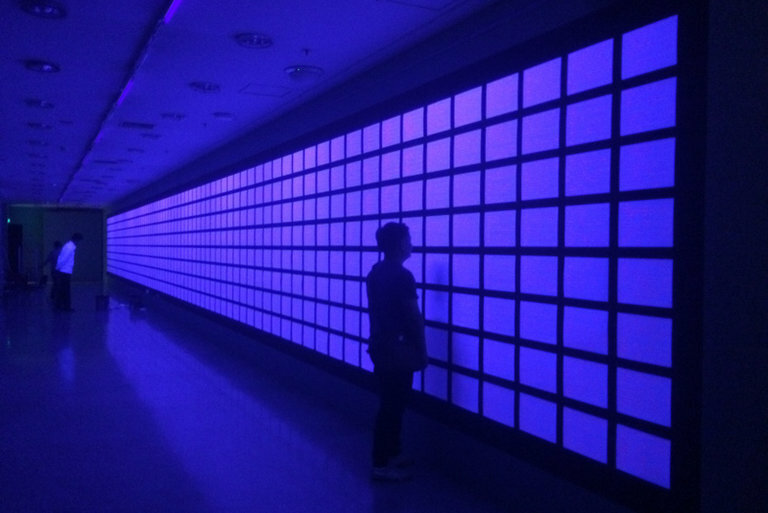 BEIJING — Deng Yufeng wanted to create art that prods people to question their lack of data privacy. What better way, he reasoned, than to buy the personal information of more than 300,000 Chinese people off the internet and display it in a public exhibition? The police did not appreciate the irony. Last week, the authorities in the Chinese city of Wuhan shut down Mr. Deng’s exhibition in a local museum after two days and told him that he was being investigated on suspicion of amassing the information through illegal means. Mr. Deng’s project coincides with a growing debate about the lack of data privacy in China, where people are starting to push back against tech companies and their use of information. Online brokers regularly, and illegally, buy and sell personal information online. Chinese people are often bombarded with calls and text messages offering bank loans or home purchases that seem too personalized to be random. Mr. Deng, a 32-year-old artist based in Beijing, said he hoped to get Chinese people to question that everyday scenario.